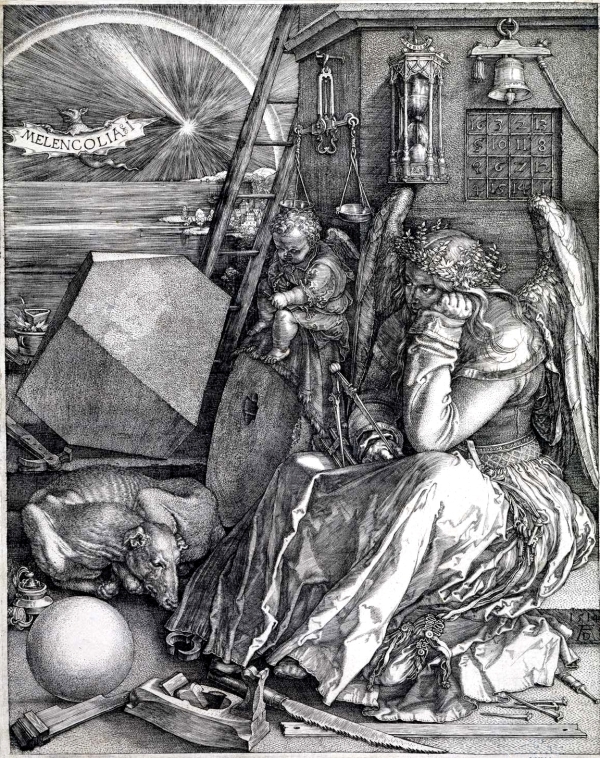 Albrecht Dürer was a prolific painter, engraver, artist and scientist who is included here, in Allshare, specifically because of a little-known study he engraved in 1514, titled 'Melencolia I, a variation on 'Melancholia''. 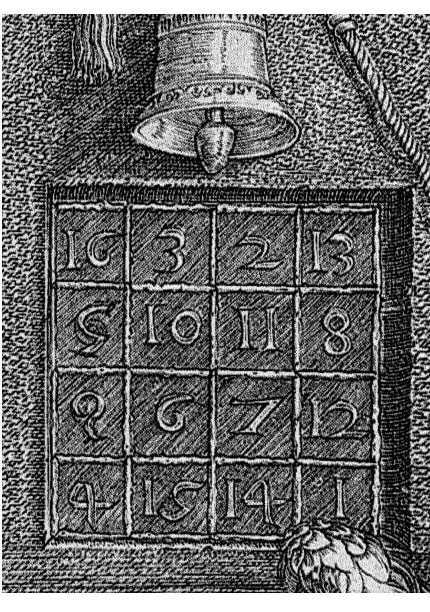 In a diffident gesture , Dürer hid up in the corner of this painting something later discoverers called the 'Magic Square'. Shown here is the painting Melancholia I. Clicking on the painting will produce a pop-up of large size, which will enable examining the detail of this painting and further permit study of the 'Magic Square' in the artist's rendition. Given the artist's range and scope of work, this little gem, embedded as it is in this painting, gives rise to wondering where, if at all, other surprises may be hidden in his work. I leave it up to you, dear visitor, to discover these for yourself. 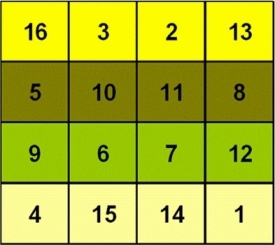 In the meantime, when you return from studying the pop-up, here is a more modern illustration of Dürer's Magic Square. Note the colors match the diagrams on the left. Note the date in the middle and the initials symbolized by 1 for Albrecht, 4 for Dürer. He may have been shy, but he knew he had created a piece of magic! 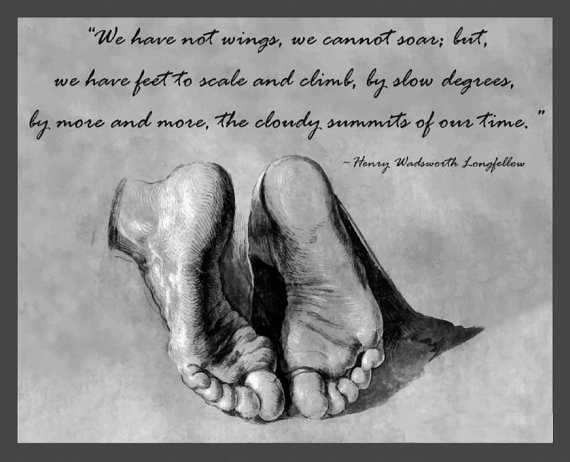 By the way, he created/painted this picture in his 43rd year. 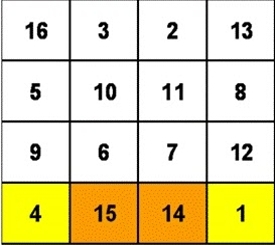 I'll bet he just couldn't create a table using the sum of 43, what do you think? Provide your name, a Subject heading, and after commenting press the b>Submit button once. This does NOT clear the comment box; feel free to add a different comment if you like but your comment(s) will potentially be deleted if not approved.